Multipack Canon CLI-571/PGI-570XL cartridges bestaande uit: 1x Canon PGI-570XLBK compatible inktcartridge zwart (25 ml.) 1x Canon CLI-571XLBK compatible inktcartridge zwart (15 ml.) 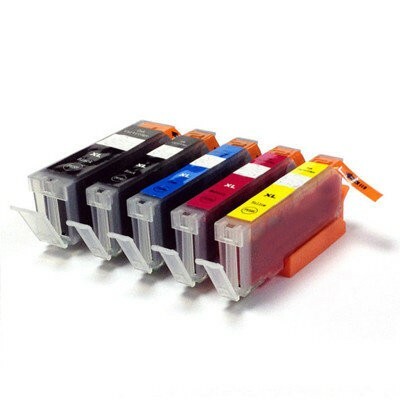 1x Canon CLI-571XLC compatible inktcartridge cyaan (15 ml.) 1x Canon CLI-571XLM compatible inktcartridge magenta (15 ml.) 1x Canon CLI-571XLY compatible inktcartridge geel (15 ml.) De patronen zijn klaar voor gebruik. Canon CLI-570bk multipack 5 stuks.